Thread: Nvidia Drivers killed Sound Drivers? Last night, I updated my video (Nvidia) drivers, and after restarting I noticed an "X" over my sound icon in the system tray. In the past (long ago) I'd seen this happen, but not for some time. I tried re-installing the sound driver (worked prior) with no luck. I also checked Bios just to be 100% sure the device was still active (it is). If anyone has experienced this, your experience and information would be gladly appreciated! I don't want to format! Last edited by Fourty7; 02-09-2019 at 03:01 PM. Re: Nvidia Drivers killed Sound Drivers? What device(s) are you expecting sound from ? The main output device is the Realtek driver, the MOBO's sound card. I also use the VB-Audio (comparable to virtual audio cable, better) for mixing channels (eg; mic + virtual inputs). Since the error is Code19 I'm assuming it's a registry error and nothing I do manually with drivers is going to help though. *edit* Oh, and the USB audio device is a USB hardware mixer used for plugging in an XLR microphone. Last edited by Fourty7; 02-09-2019 at 03:00 PM. I tried doing a "Driver Roll-Back" through device manager on the Nvidia driver, that didn't do anything.. Also they really need to add a progress bar for that function lol... I left my comp alone for 30 mins to be 100% sure it was done before restart. I'd start with unplugging everything. And make the analog audio stuff work first. If I recall correctly, USB devices appear as another "audio card"
The only device I can unplug is the USB mixer. I unplugged it, restarted, no difference (besides it not showing up in device manager anymore). 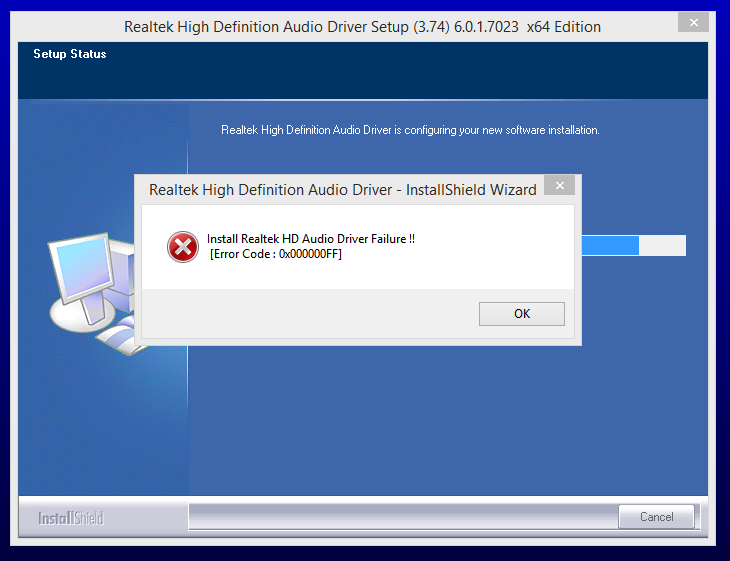 I can't unplug the RealTek device (SMD on MOBO), I can disable it in BIOS but that doesn't change anything. I learned something also; If you double-click the speaker icon (System Tray) when having this issue it opens a windows dialog attempting to fix the issues. It said there's an issue with the Nvidia HD Audio driver... But it couldn't fix / update it. After seeing this, I tried DDU thinking it might help. DDU's log shows it did remove the Nvidia audio drivers / devices, but all other audio devices are still broken / non existent in playback & recording devices. I'm pretty much at the point of formatting... So much work-in-progress is about to be flushed :/ ...Probably going to build a new system even though I was waiting for Ryzen 2 / 3000. Yeah, I could format and fix the issue, but it doesn't seem worth the effort right now (So many programs, customization of OS & devices, etc.) when I know I'm going to do it again in a few months. Should I just go a few months without sound and read the subtitles on PCPer vids!? Ugh! lol. I remembered I have a USB Sound Card (Literally the crappiest USB device w/ 3.5mm in+out) which I know worked prior, but I hadn't used in over a year (never really did)... I tried plugging it in to get some sound temporarily, and it doesn't even detect. Windows said it had an error detecting the USB device the first time I plugged it in, every time after it just does nothing. Before it essentially was plug-and-play. I'm thinking this has to be relevant in some way to deciphering wtf is going on here. If bored, feel free to look at my (potential) component selection for PC build... Not really worried about feedback, trying to be as cheap as possible without lacking performance. Also I will be moving the GPU + Storage over from this PC. The following link will ADD ALL ITEMS TO CART (newegg.ca)!!! I've given up. I couldn't handle it anymore, Nvidia's support response was a good laugh though!.. Almost ready to format, everything from main drive moved over. In the future, I will never install an Nvidia (or possibly any) driver without creating a restore point before so. I'm listening to music on an old MP3 player from ali express (lol it's a POS) in the mean time. I personally just don't get it, I've put this system through hell since its last format (4-5 years), I've been through countless versions of DAW software which often included audio drivers, I've manually fixed situations when programs didn't work, etc... 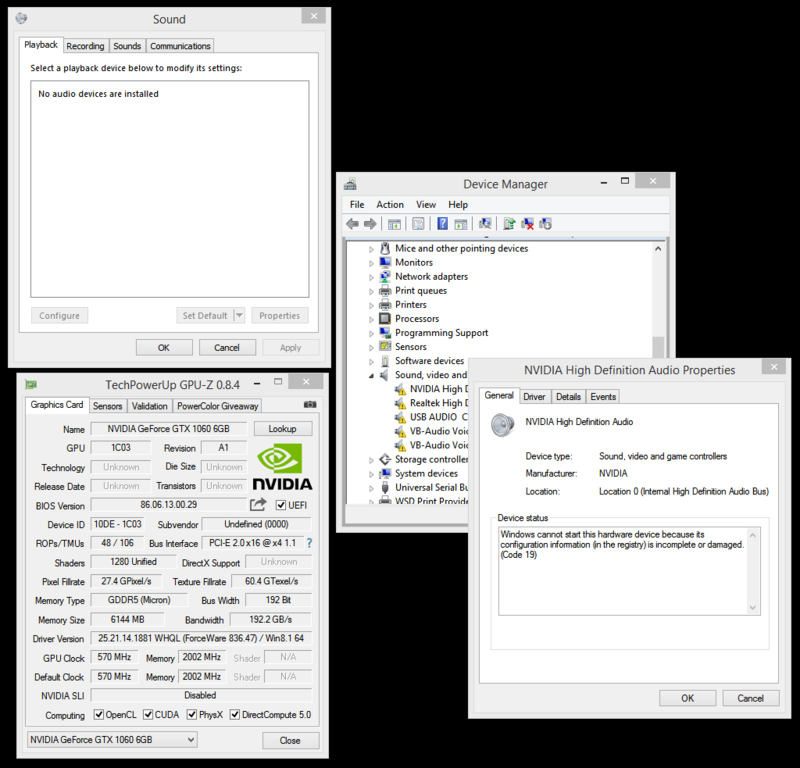 In the end, updating Nvidia drivers was the thing to completely perma-break it? :/ Never fails lol. At least I'm at a point I'm content formatting, knowing I can forget about the clutter (random maya work mostly) I had going on if nothing else. It's been a while since a "fresh start", time to remember what it feels like! I'll leave the thread open in case anybody has a fix for others with this issue and would like to share, or in case anyone wants to laugh at me (don't worry I acknowledge reality and couldn't care less about judgement lol). Take care, and seriously, thank you very much for trying to help. Did you try doing a system restore to time before the problem occurred ? Usually a system restore point is created automatically on a driver update or on a time basis. Last edited by CMB; 02-10-2019 at 12:51 AM. Negative. I honestly forgot about system restore, I haven't used it for like a decade, and that probably would have worked. I can't try now, I'm replying post-format. This time around installing the 418.81 didn't break anything. Kinda happy I formatted too, the clutter was getting bad.